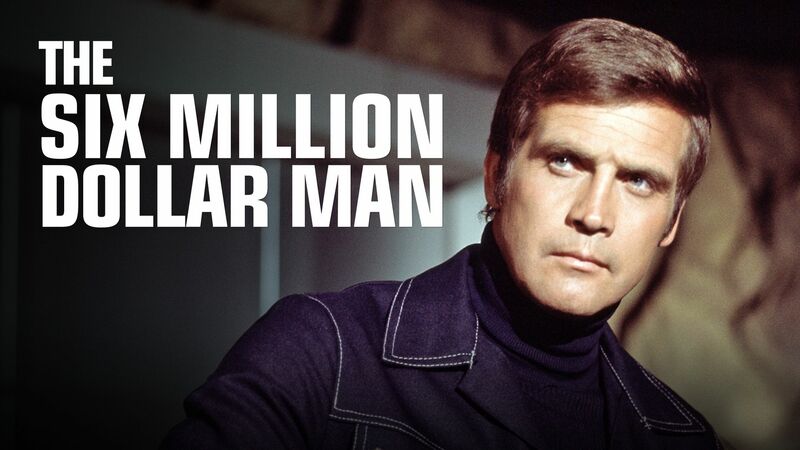 Here's where to watch every episode of The Six Million Dollar Man season 4. Mouseover or tap an episode to see where to stream it. Click or tap the play icon to stream it on the best available service. Nightmare in the Sky Sep 22, 1976 When an Aircraft mysteriously disappears in a test flight, Steve's friend Kelly Wood becomes the prime suspect, since she was the one driving the plane at the time. But for some reason, she has no memory, except remembering seeing a Japanese Zero plane from World War 2. Since no one believes her, Steve knows he must clear his friend's name, before it's too late. Double Trouble Sep 26, 1976 When a nightclub comedian is hit by a car, the x-rays reveal an implant in his head that can control his actions. Oscar sends Steve to find out why and if the Russians are involved. The Most Dangerous Enemy Oct 3, 1976 Steve and Rudy go to check up on scientist, Cheryl Osborne, who was performing research on chimpanzees but who has ceased communications. When they arrive they find something has destroyed the lab, and Rudy is bitten by a rampaging chimpanzee. Rudy begins to turn psychotic and Steve must both stop him and find Osborne before it's too late. H+2+O = Death Oct 17, 1976 A remarkable new underwater breathing device with bigger implications and powered by nuclear fusion attracts the attention of a dangerous spy network. With an invented identity as a doctor on the project, Steve attempts to outwit the spies by faking the device's capabilities with a little help from his bionic arm. Episode 8 Nov 7, 1976 Rudy develops a new form of bionics that can restore mobility to people who has been paralyzed. Andy Sheffield, who was paralyzed from the waist down in a previous accident, is selected as a prime candidate to test Rudy's new work and try to restore his ability to walk again. Vulture of the Andes Nov 21, 1976 Steve poses as a member of the US team in a sailplane meet to stop terrorists. Episode 11 Dec 12, 1976 other characters: Sissy Crandall (Bob's other daughter) When Steve is sent to investigate problems with an OSI project contracted out to Budge Corp., he discovers the problem is that the corporation's owner, Horton Budge, is a cheap ""Scrooge"". Steve then uses the same strategy from the Charles Dickens classic. A Bionic Christmas Carol Dec 19, 1976 After an accident at a NASA contractor, Steve uses his bionic abilities to convince the gruff, penny-pinching head of the company to change his callous ways. Task Force Jan 2, 1977 Steve goes undercover to thwart a plot by disgruntled ex-military men to steal a new missile. The Ultimate Imposter Jan 9, 1977 Dr. Wells has a new project that involves the direct (and permanent) transfer of information to the brain of Joe Patton from a computer. However, Joe's girlfriend, Jenny, (another operative) expresses concern for Joe's safety. Death Probe Jan 16, 1977 When an object tracks across the sky and lands in a remote area in Wyoming, Oscar and Steve arrive on the scene and find that a Russian space probe built to withstand the extreme Venus environment has crash landed on earth and is out of Soviet control. It's up to Steve to try to stop the probe from destroying a nearby town. Death Probe: Part 2 Jan 23, 1977 With time running out, Steve must do anything he can to disable the Russian space probe in spite of the fact that it is virtually indestructible and has numerous inventive capabilities that it uses as weapons. Danny's Inferno Jan 30, 1977 A boy experimenting with chemicals accidentally stumbles onto a thermonuclear reaction, creating a dangerous and powerful power source. A corrupt fire chief and some unscrupulous investors are out to discover the formula and it's up to Steve Austin and the boy to stop them. The Fires of Hell Feb 6, 1977 An experimental process to bring played out oilfields to life is jeopardized by mysterious fires. Steve Austin must discover who is sabotaging the project and why. The Infiltrators Feb 13, 1977 Oscar has Steve pose as a boxer to try and figure out what a ring of expatriate athletes intends to steal in Washington. Carnival of Spies Feb 20, 1977 A scientist covers up his sabotage of a B-1 Bomber experiment. To Catch the Eagle May 15, 1977 An Indian Chief who is also a trained scientist discovers an ore on the reservation that can be a great source of power. So Oscar sends two men to check it out but they vanish. So he sends Steve to find them. But the tribe's medicine man who is very traditional refuses to grant Steve permission to go there because it's sacred ground. But there's a test which is very grueling, if he passes he can enter. But the medicine man has other plans. Ghostly Teletype A top secret formula is wiped off it's page and Steve Austin is accused of swiping it. To prove his innocence, Austin seeks out the inventor of the formula and anyone who might benefit from it at such an early stage.